Our resident mossback risks his curmudgeon status with a list of local icons he actually likes. Fremont Universe, a neighborhood blog, predicted that I would not “be elected King Faerie of the Solstice Parade anytime soon.” Seattle Times editorial writer Bruce Ramsey said I went too far in calling the Troll “ugly and charmless,” arguing, “It’s eating a Volkswagen! A real Volkswagen. How can you not like that?” Bruce, it’s good to know where you stand in the war on cars! Some readers challenged me to make a list of public icons I like. So, running the risk of jeopardizing my curmudgeonly status with a warm and fuzzy column, I offer a partial list of public art, artifacts and landmarks that I really like. Mount Rainier: The volcanic goddess that must be respected—and feared. Her beauty, moods and menace define our days. We have a reputation for monotonously gray weather, but there’s always a drama played out with the mountain as backdrop. Can you see her? Is she hiding? What’s that saucer-like cloud on her top? Can you see her glaciers glinting in the sun? Is she gonna blow? You never see the same mountain twice. The Space Needle: I won’t be “King Faerie” in Fremont, but as the Space Needle’s first writer in residence (with a desk on the Observation Deck), all I can say is, “So what?” I’ve got a great perch, and the views never get old. The Needle hosts roughly a million visitors per year; the Seattle they see from the Needle is the ultimate living postcard. Olympic Sculpture Park: One of the best additions to Seattle in decades. Two sculptures I find intensely provocative: Roxy Paine’s steel tree (titled “Split”) and Mark Dion’s “Neukom Vivarium.” Both urbanize nature in a way that is infuriating, thought provoking and blessedly non-whimsical. We have enough Pike Place pigs. Pacific Science Center: People loved Minoru Yamasaki’s brilliant secular temple of science when it debuted as the U.S. Science Pavilion at the 1962 World’s Fair. They still do. Some said that with its white stone, fountains and pools, it was a modern Xanadu. Many modern architects sniffed, however. Not spare or cold enough, the pavilion was dismissed by I.M. Pei as “artistic caprice.” Whatever it is, it’s inspiring. The Gothic “space arches” are stunning still. Paul Horiuchi Mural (at Seattle Center’s Mural Amphitheatre): A tile collage by a Northwest artist who brilliantly blended East and West. It’s an abstract meant to live outdoors. Kubota Garden: Like a living Horiuchi that changes with the seasons. “Black Sun” by Isamu Noguchi (in Volunteer Park): Very 2001: A Space Odyssey, it’s a sculpture that seems to emit a hum. The climbable doughnut is art, but art that also frames a classic city view. The statues of Chief Seattle (downtown), William Henry Seward (in Volunteer Park) and Leif Erikson (at Shilshole Bay Marina), and the James J. Hill bust (at the University of Washington): Seattle doesn’t have many old-school statues of great people, but these represent our eclectic past: an Indian, a statesman, an explorer and a railroad baron. Add a Seafair sailor and call it the Frontier Village People! Koolhaas library (downtown): Great as a sculpture. I have my complaints about it as a library (slow elevators, poor signage), but it’s a visual marvel. How many other libraries are tourist attractions? The P-I globe: Long may it turn. Ditto for the Elephant Car Wash sign. Seattle Waterfall Garden (in Pioneer Square): Odd, hidden; it suggests urban shrines in Japanese cities that feature flowing water, a touch of nature in megalopolis. It’s a reminder that a freshwater spring was one of the reasons Seattle started here. Ramps to nowhere (in the Arboretum): An admonition that saying “no” is often a good idea; that technology, roads and “progress” have limits. Write editor-at-large Knute Berger at knute.berger@seattlemag.com. 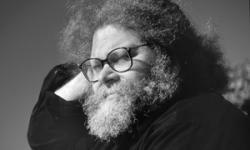 His Mossback column is at crosscut.com.